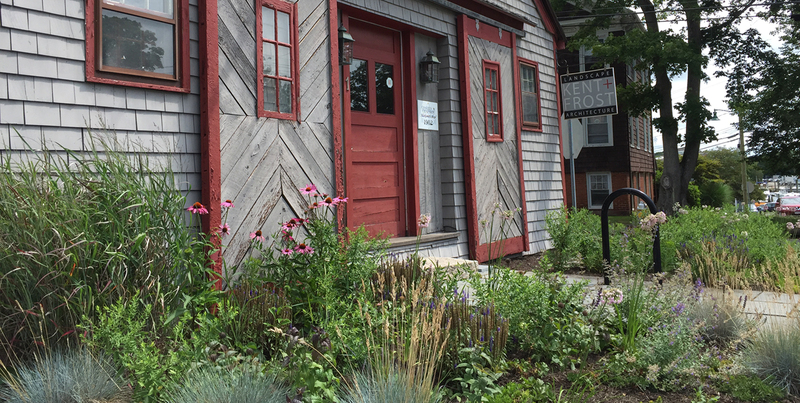 Kent + Frost is a professional landscape architecture firm located in Mystic, Connecticut specializing in planning, design, and project management. The firm was founded in 2000 by Brian Kent, a graduate of the University of Georgia and a registered landscape architect since 1985. Chad Frost, a graduate of the University of Connecticut and registered landscape architect joined the firm in 2003 and became partner in 2007. The firm has completed a wide variety projects including residences, commercial developments, urban streetscapes, parks, municipal facilities, and town-wide master plans. Our most successful projects are notable for their collaborations with architects, engineers, artists, open-minded clients and involved citizens. Kent + Frost has developed a balanced approach to landscape architecture that incorporates art and science in the creation of meaningful and memorable landscapes. We believe in the ability of ecologically based design to accommodate both site development and environmental conservation. A healthy and sustainable landscape that accommodates human uses is an intrinsically beautiful thing in itself. But when the visible elements are carefully composed from harmonious materials like stone, plants, sculptured earth and architecture, the result is especially rewarding. K+F adheres to a philosophy that each site, client, and project program is unique – and therefore, each design solution must be unique – within a framework of appropriateness, practicality and environmental sensitivity. Brian Kent is a landscape architect and founding principal of Kent + Frost Landscape Architecture, located in Mystic, Connecticut. He began his career in Athens, Georgia after graduating from The UGA School of Environment Design in 1984. With Robinson Fisher Associates, he worked on plans for the 1996 Atlanta Olympic Games, National Park Service cultural landscapes, campus planning, urban streetscapes, parks, greenways and public gardens. 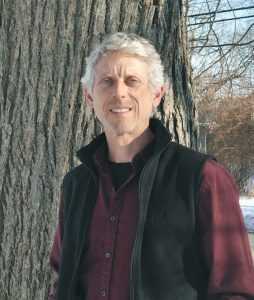 Since relocating to Connecticut in 1998, his work has encompassed parks and recreation planning, mixed-use master planning, trails and greenway design, public and private gardens. 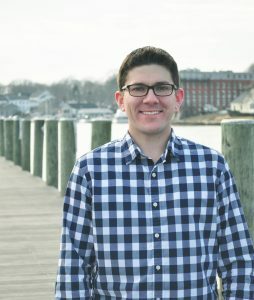 Brian is a board member of New London Landmarks and is a founding board member of Mystic Community Bikes, a nonprofit bike-share and advocacy group. He is an advocate for sustainable communities that incorporate multi-modal transportation solutions, environmentally friendly development and historic preservation. 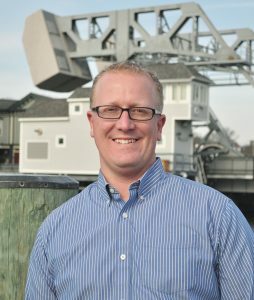 Chad Frost is a landscape architect and principal with Kent + Frost Landscape Architecture, located in Mystic, Connecticut. Upon graduation from the University of Connecticut in 1999, he began his career in Avon, Connecticut. While practicing in Avon, he worked on plans for university & college campuses, medical institutions, parks, and public performance gardens. Since joining Kent + Frost, his work has encompassed mixed-use developments, urban streetscapes, waterfront developments, public parks, trails and greenway design, public and private gardens.His dedication to the preservation of the environment, and the principals of sustainability are embodied in all of his work. Chad is known for his artful integration of sustainable methodologies that lead to beautiful and functional spaces that enhance environmental quality, and connect people with their surroundings. His particular expertise has been instrumental in the firm’s innovative design solutions to complex physical, fiscal and regulatory challenges. Tim joined the Kent + Frost team in 2014 as Project Manger after spending 6 years with Wells Appel in Philadelphia, where he managed a diverse variety of projects from residential design to urban park design and university campus master planning. Since joining Kent + Frost his experience of managing projects and knowledge of construction has been instrumental in the successful design, documentation and completion of a number of projects including Storrs Center Square, L+M Healing Garden, Collinsville Streetscape, Coogan Farm Heritage and Nature Center and the Mystic Seaport’s Thompson Exhibition Building and McGraw Quadrangle. Tim’s attention to detail and hands on approach ensures every project receives the personal attention required to create unique and award winning designs. Elisa has been with Kent + Frost since 2010. She has been vital to conceptual design and production for the firm, ensuring that the design intent is carried through from start to finish. She believes that there is value and potential in every outdoor space. Whether the project is to preserve, reuse, or create from scratch, with a thoughtful weaving of sustainability, landscape context, and design any landscape can become one to remember. 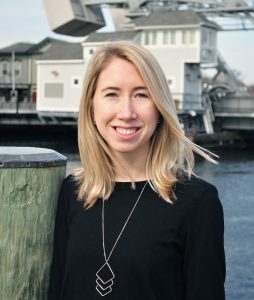 Elisa received a Bachelor of Science in Landscape Architecture from The University of Connecticut and was the recipient of the 2010 CTASLA scholarship and a 2011 ASLA Student Honor Award. Her work experience stretches from Rhode Island to Pennsylvania, with inspiration derived from her travels across the country and abroad.